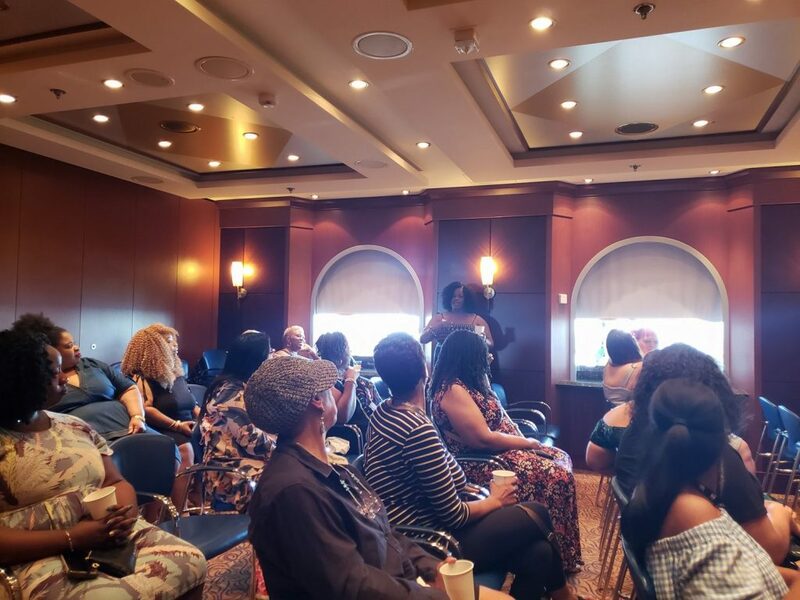 Home /News/Five Reasons Why The TCFCruise Was Dope AF! We’re back! Yup. 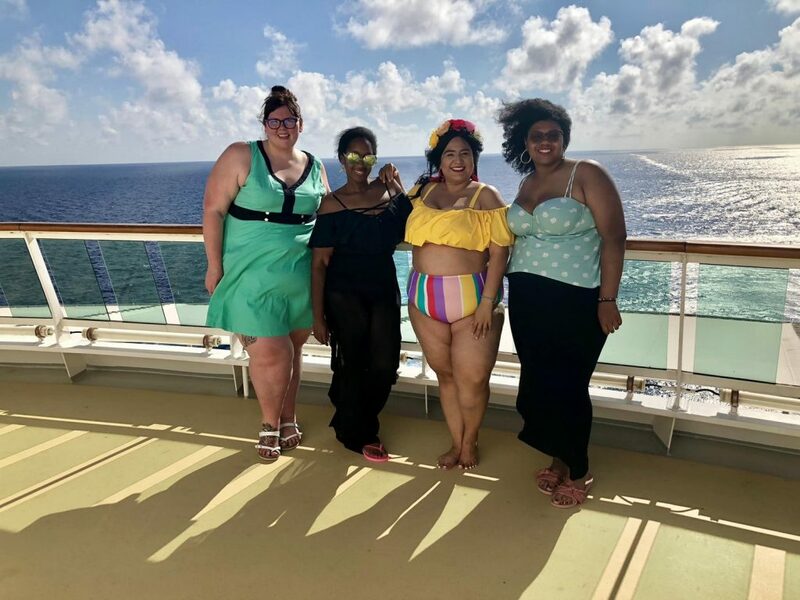 The vacation for our first ever TCFCruise is over, and it’s (singing) back to life…back to reality. 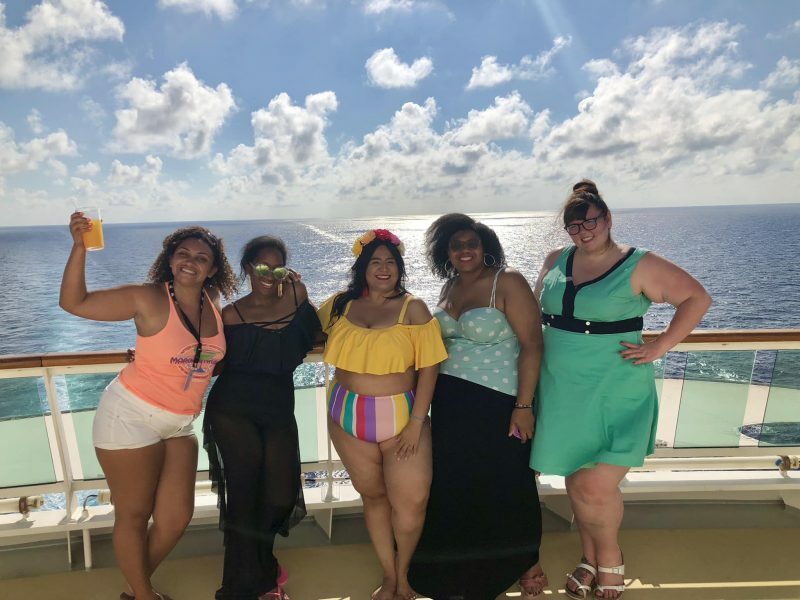 Now, If you didn’t know, Team TCFStyle tried something new this year, and with 30 other TCFStyle loving women we embarked on our first #TCFCruise aboard the Royal Caribbean “Brilliance of the Seas” for a 5 day 4 night trip to Cozumel, Mexico! 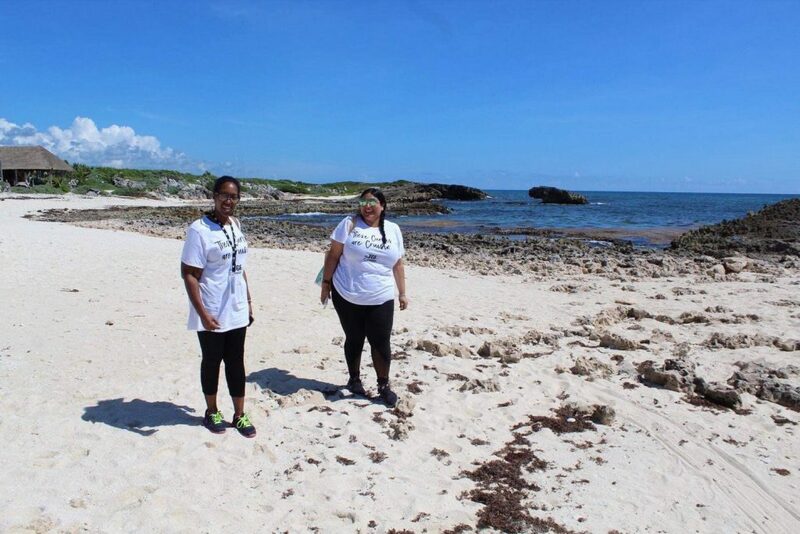 We took #SelfcareOctober to the seas and made it a movement. 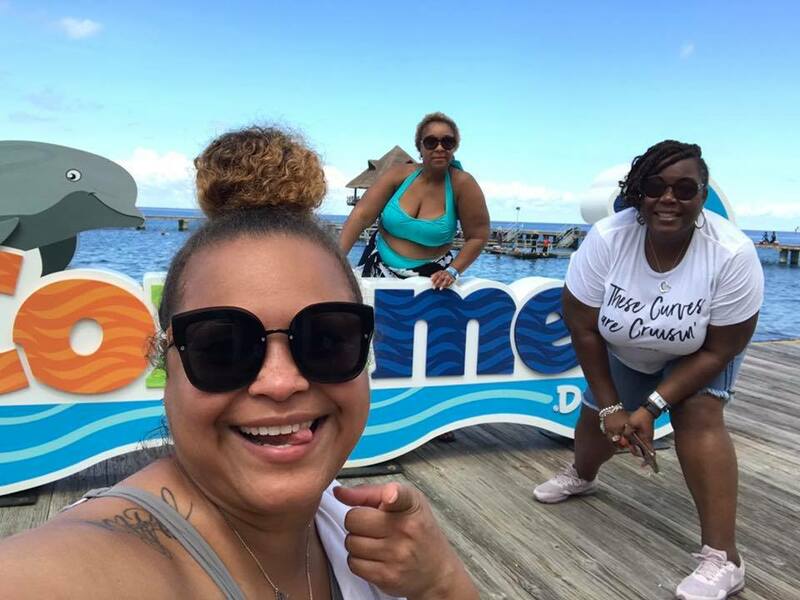 Alongside my TCF teammates, TCF Editor in Chief, Marie Denee and TCFStyle Expo Logistics Coordinator and owner of B Memorable Events, Brandi Nora, this trip was indeed a girls trip to remember. 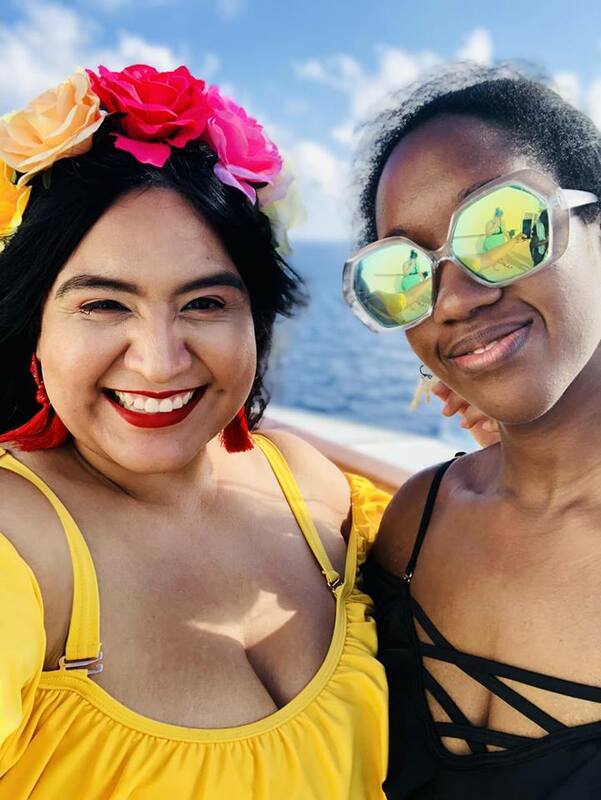 Not to bore you with all the details of our adventure, I decided to put together a list of Five Reasons Why The 2018 TCFCruise was Dope AF! Something amazing happened on this trip. 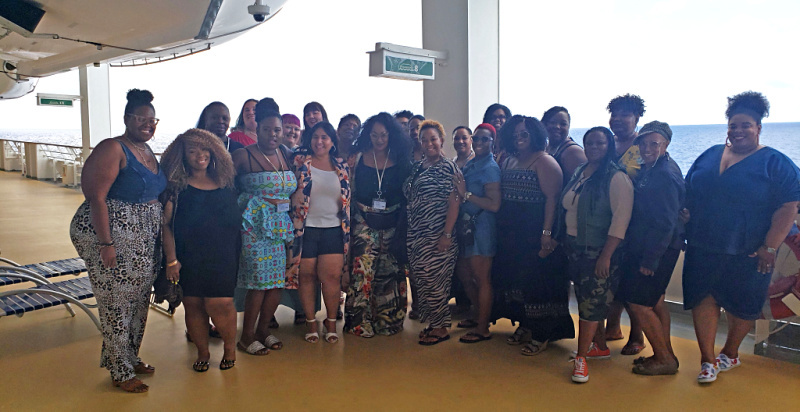 Thirty women from so many different backgrounds, lifestyles and ages came together to take an adventure on the sea. The TCFCruise crew was amazed. I met so many women. 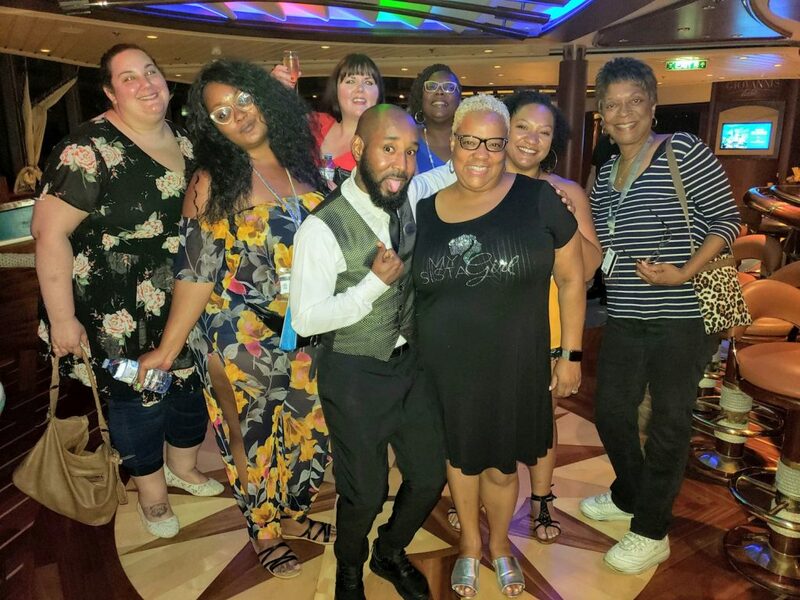 Our very 1st TCFCruise- We all made quick friends with the bartender, Jason! We all connected on various levels of sisterly love. It’s was beautiful. 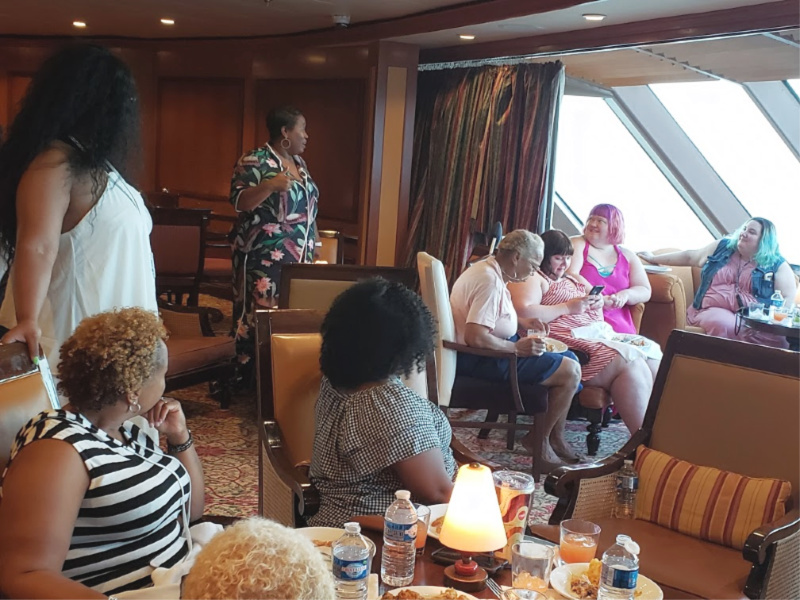 Once we were out to sea, we had a meet and greet in one of the ship’s bar areas. This time gave the ladies a chance to say, “Hey Girl Hey” and warm up to one another…over drinks naturally. 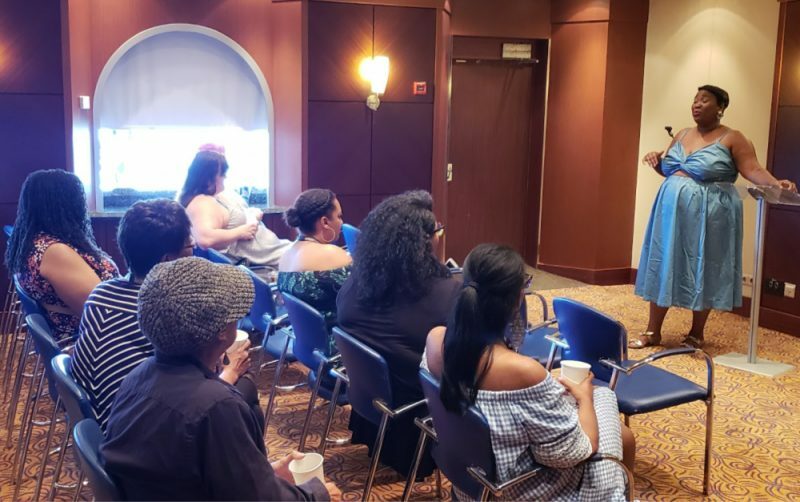 Now, what would a TCF Event be without time to talk about fashion? You know we had to get these ladies together to talk about their fashion. TheJenesaquoi.com on the boat to lead a conversation with the ladies about fashion, style and our bodies. This open forum was uplifting. We explored conversations about our bodies, our fashion fears, our victories, and self-love. I love a great twinning moment in the name of fashion. 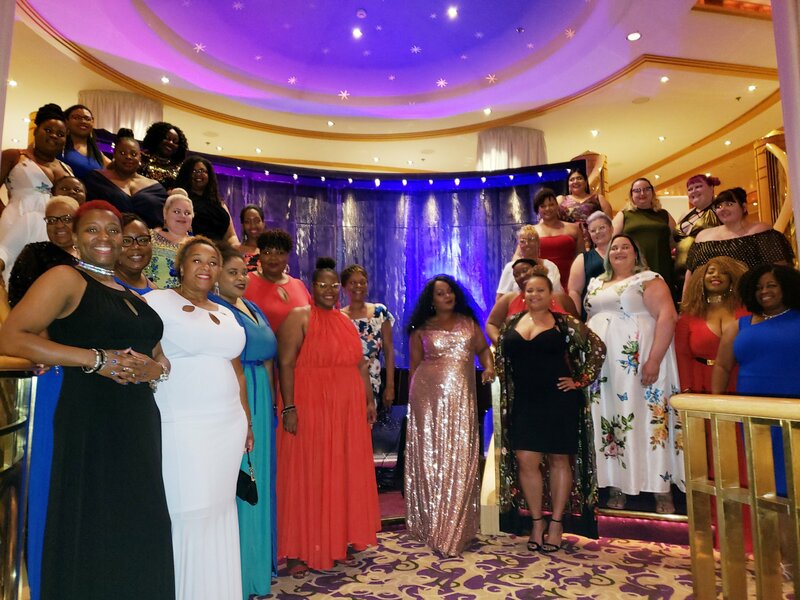 Whether they were slaying poolside with a cold beverage or killing at the captain’s ball, these ladies slayed all the looks on the boat. So remember when I said sisterly love was all over this boat? 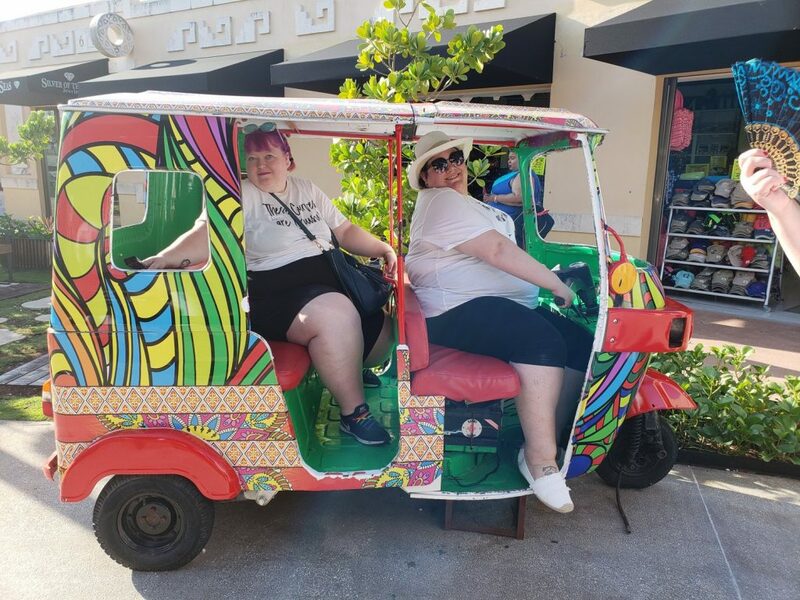 Not only was this a chance to spend QT with my boos Jeniese and Marie, who I traveled through 6 hours of hurricane weather to partake in this adventure because I love them… I also created a new friendship with a content creator, I’ve admired from a distance for a long time. 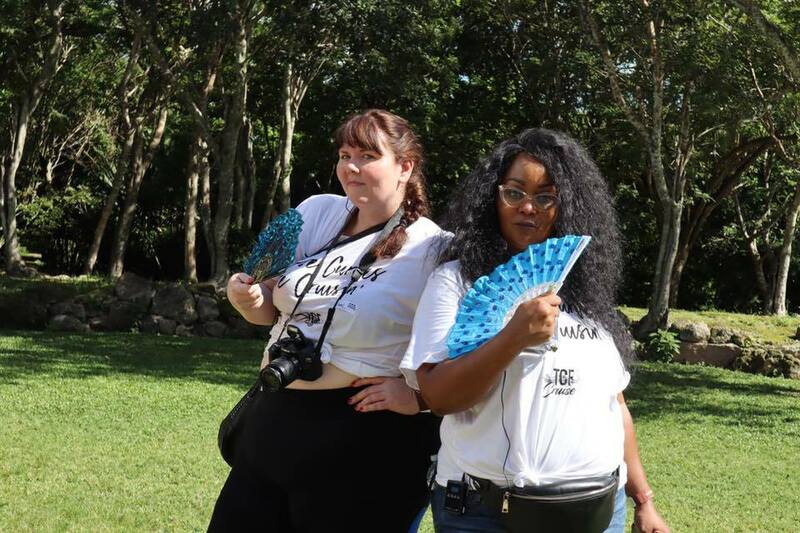 Ashlee Hinds, the creator of Big Beautiful Black Girls, is a true angel and now my Barbados sister. She and her bestie, Kim kept Table 337 popping with laughter and funny stories. 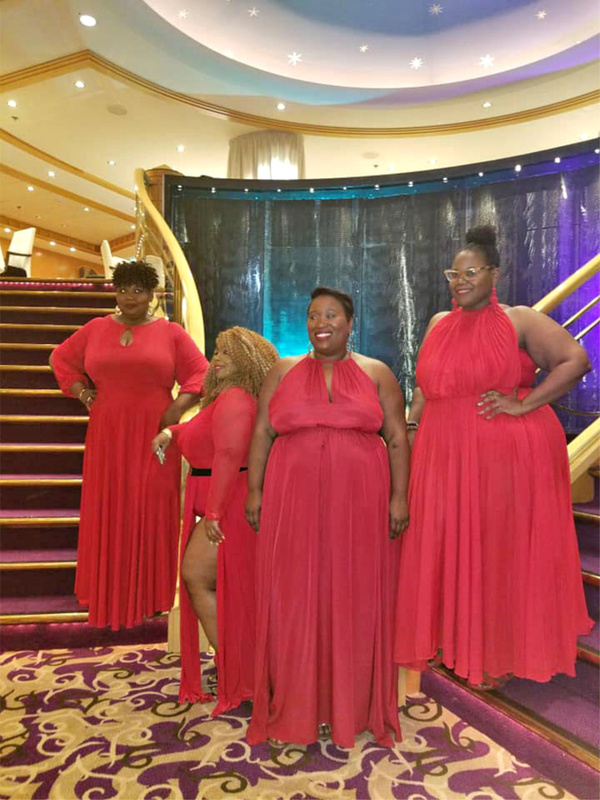 And Becky and Danielle of The Fat Club Podcast invited Jeniese and over for a conversation of owning it and loving it. You gotta check these ladies out. 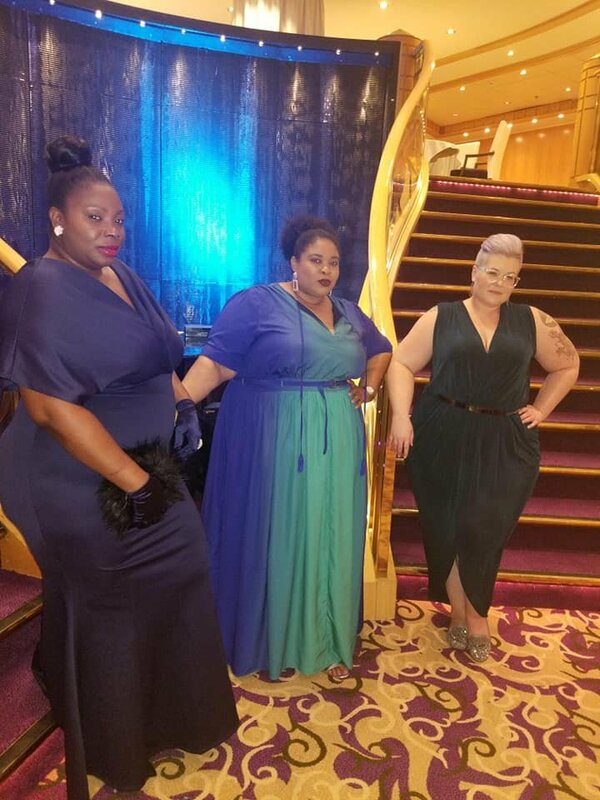 I really can’t tell you the amount of TOTAL SLAYAGE we served on this boat. 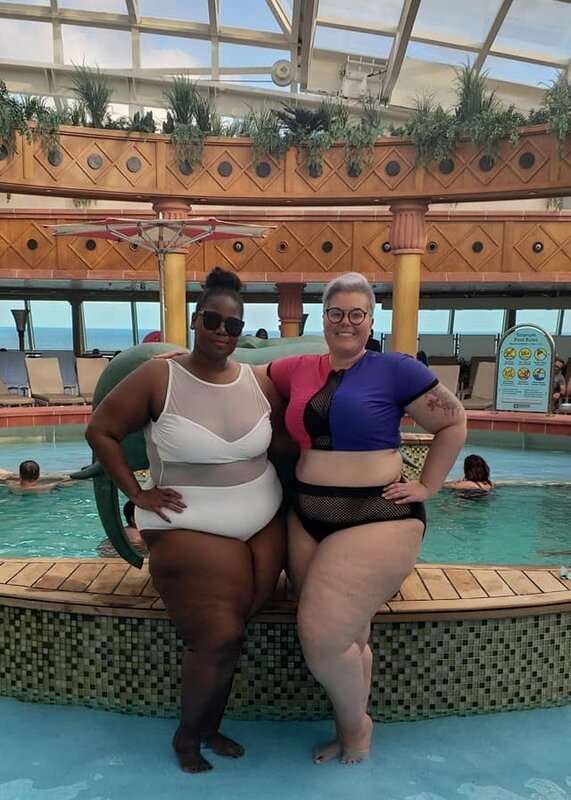 FACE and BODY galore should have been included in our taglines, but trust #thightanic served a great purpose because #TeamThickthighs represented well. From the Captain’s Ball to our Thighs Out Pool Party, these ladies showed the “F” out-Everyday. Marie even had a little fun in her Sydney’s Closet Number! 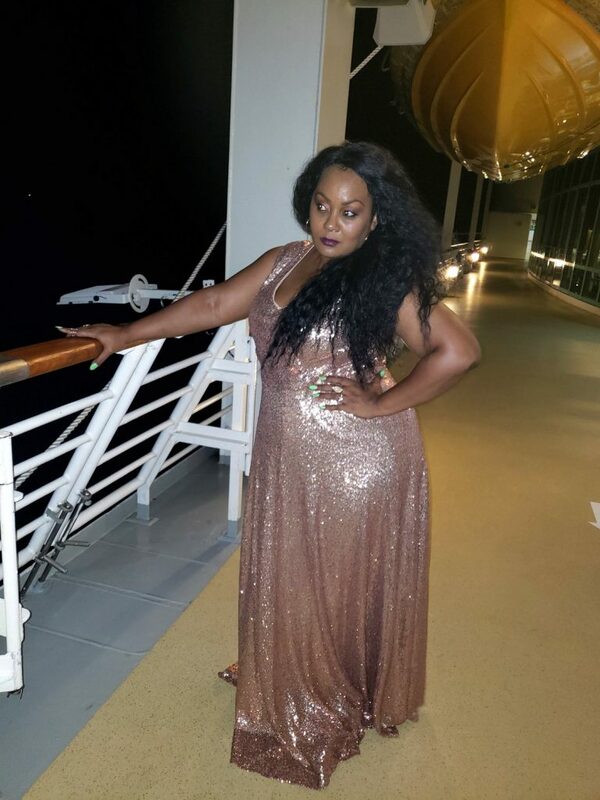 They hooked her up with this sequins maxi gown to give us a little sparkle! Told ya we bagged bodies with slayage. I have to admit I stayed on the boat during the excursion time of the vacation, so when my fellow shipmates were having a ball kissing dolphins and tasting Mayan chocolates; I was catching up on sleep and sampling all the tasty beverages (remember always get the Premium Drink Package)… your welcome. Fun Fact? 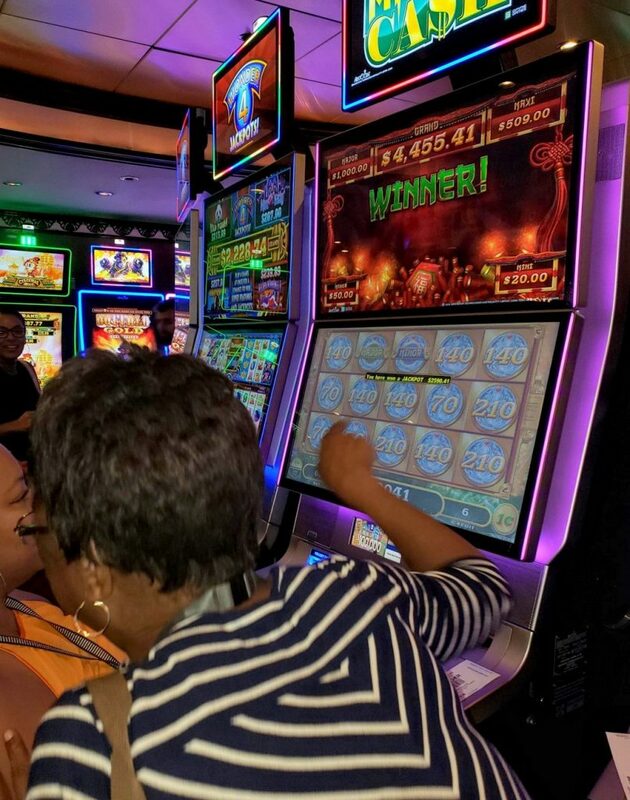 Marie’s mom mayyyyy have helped a certain cruiser win a little somethin at the casino! Woot! Now, how dope was this adventure? I never thought traveling with such a large group would be so enlightening and fun. 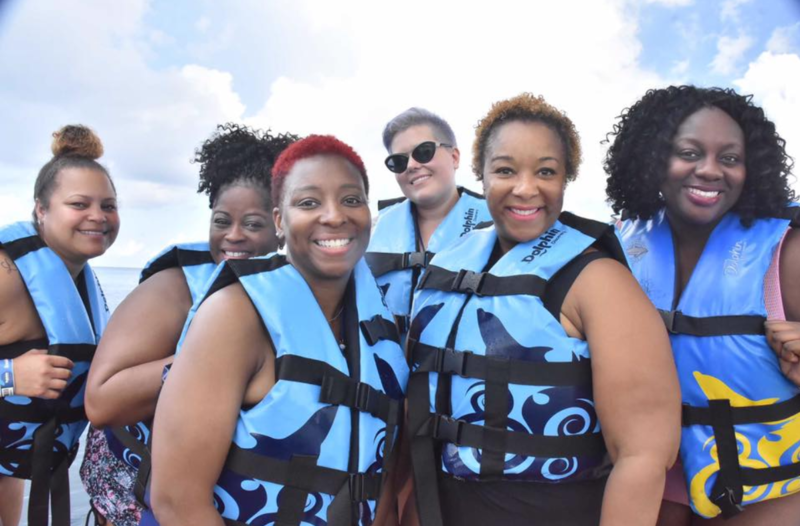 These were just a few of the moments that makes vacationing with new people so refreshing. Blank by Cotton Bureau who made the comfy plus size fitted tees up through a 5x!! 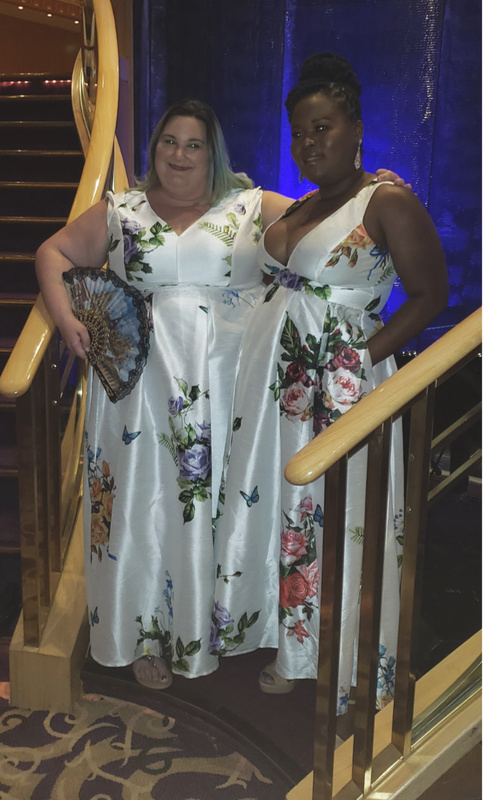 And while I would love to share all the moments, I honestly want to keep some to myself because what happens on the boat should stay on the boat! I guess you may now be wondering where to next? What will the next adventure be for TCF? Who would have thought a suggestion from one of our FB Lives would actually happen?! Marie is over here listening and trying to figure out how to make all of this work! *I* think should take a Barbados trip… hmmmm Cropover 2019? We’ll see. 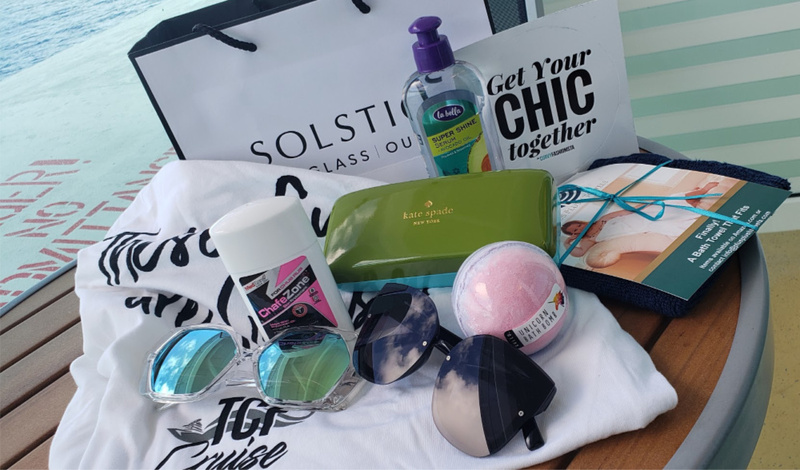 If you want to see more, make sure you check out our #TCFCruise and #Thightanic hashtags on Instagram! 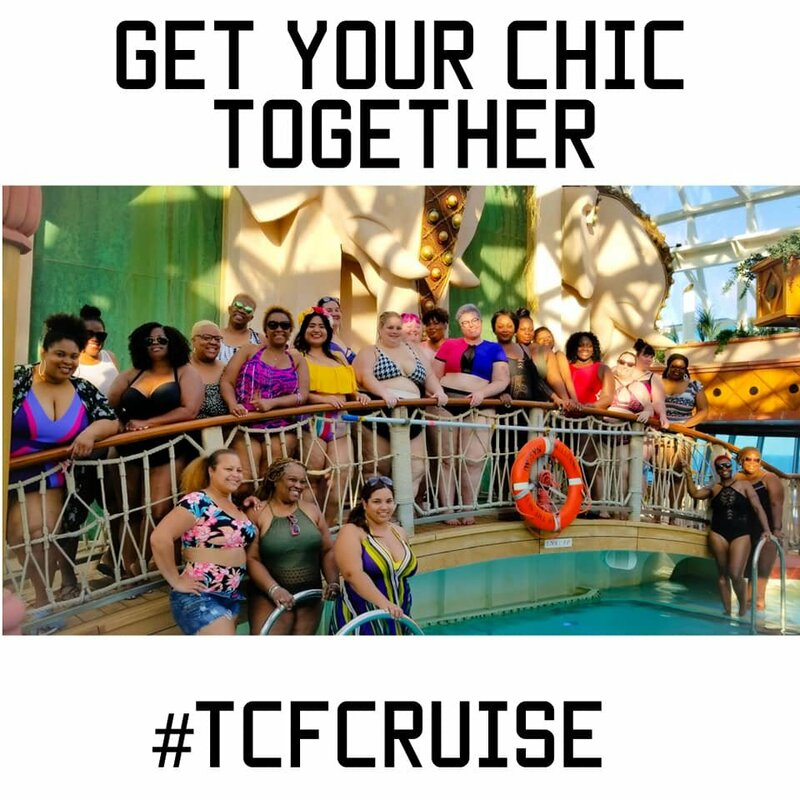 Make sure you also join our TCF Community on Facebook, to never miss an event, detail, and to sign up for next year’s cruise, because ohhhh yes, we are doing this again! Would you like to travel with us? Have you ever traveled with a large group other than family? Where would you like to go with #TeamTCF? Let’s discuss!